» Androids - This in an artificial race. Usually androids start out as another race, but are 'enhanced' with technology. The exception are the biotechnological androids like Cell. Cell is ertirely created with the use of cells of other beings. All androids in the series are created by Dr. Gero, who even makes himself one. They usually look just like normal people or can look very strange. They are immensely powerful and most have a mission to kill Goku. » Animals - There are a variety of animals seen through out the series. The two most important are Puar and Oolong. Many animals are shown walking, and even talking like humans! Colonel Yellow, a high ranking official of the Red Ribbon Army is a tiger. Even the King of the Earth is a walrus like creature! » Arconia-Jins - This is the race responsible for suppling the Saiya-Jins with technology such as the spacepods. In return for this technology the Saiya-Jins would conqour planets for the Arconia-Jins. It is not known what happens to the Arconia-Jin, but it is most likely that Frieza had them destroyed. » Arlians - A race of giant insects that inhabit the planet Arlia. They show up in the anime only when Vegeta and Nappa visit their planet to "get some exercise". Vegeta ends up destroying their entire race and planet as they leave. » Aruhua-jins - When Bibidi created Buu, he wasn't able to controll him. On his rampage throughout the universe Buu destroyed many worlds before he could be stopped. The Aruhua race was one of them, over 5 million years ago. » Bas-Jins - These are a race of short, 4-eyed telepaths. They possess the ability to stop time by holding their breath. Only one member of this race is shown to us in the series, this is Guldo of the Ginyu Force. It is not known what happened to his people. » Bio Warriors - An odd-looking group of biological warriors created by Jaga's scientists in DBZ Movie 11. These warriors are quite formidable by human standards, but their power amounts to nothing compared to Android 18, Trunks and Goten, who defeat them effortlessly. » Bune-Jins - The only person of this race we see in the series is Pui Pui. 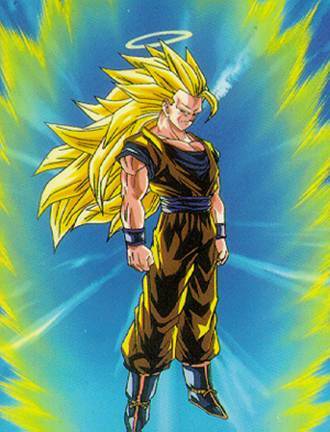 Although hes a Majin that doesn't mean he was always a Majin. Pui Pui comes from the planet Bune thus he is a Bune-Jin. His home planet has the same gravity level as Planet Vegeta which is 10xs that of Earth. Not much is really none about this race they may possible be a very cocky race. I say this because Pui Pui was very cocky, this is what led to his defeat by Vegeta who was had trained under 500x Earth's gravity. » Changlings - This is the race to which Frieza, Cooler and King Cold belong. Not much is known of their origins. All that is known is that all 3 posses the ability to transform & not just once but several times. Doing so greatly increases their power. We first see this race in the Frieza Saga. As a side note, I'd like to point out that the term "Changelings" is never actually said or referenced in anything officially created for Dragonball, Dragonball Z, or Dragonball GT. The name in actuality is just something fans made up for easy discussion somewhere between the mid-to-late 1990's. While writing this guide, I could have just called them "The Race, Frieza, Cooler, and King Cold Belong To", but that seems even worse! » Dark-Jins - We only see one member of this race in the series. His home world is pitch black and one of their special abilities is they are able to eat energy/light. Yakon (the only Dark-Jin we see) ends up eating to much of Goku's energy and explodes. Yakon is also a Majin but wasn't always under Babidi's control. » Demons - Usually evil creatures, who like to kill. The King of Demons is Dabura, who is taken under control by Babidi. He was the first to fall by Buu when he is releases by Babidi. When we see him in Other World his emotions changed, he became a kind, very caring creature & he helps Bulma, Chi-Chi, and Videl look for Gohan because at this time they all think he had been killed by Buu even thought he had not. » Dinosaurs - We all know what they are so I'll just explain when we mostly see them. Dr. Briefs (Bulma's dad) has a whole collection as pets, they live inside Capsule Corp. We also see a bunch of Dinosaurs when Piccolo is training Gohan. Gohan's training was to just to survive out in the wild. One Dinosaur Gohan actually became friends with, but was later killed by a hungry T-Rex. » Dragons - All the dragons seen in the series are related to the Dragonballs (Orange floating things in the picture). We see many different types of Dragons, but it is Shenron who most closely resembles a "traditional dragon". The rest are the Evil Shenrons from DBGT, or the strange Porunga from the Namekian Dragonballs. » Genies - A race of peaceful creatures who do not have the ability to grant wishes. Mr. Popo is a genie, although he doesn't look like it, he is a great fighter. They use magic carpets to go long distances and are pretty agile. Mr. Popo is the assistant to whoever it is that happens to be Earth Guardian at the time. » Ghosts - We all know what Ghosts are so I will explain when they appear in the series. In Dragonball we see "Ghost Usher" who directs people around Baba's place when they show up. In Dragonball Z, Gotenks shows us his "Super Ghost Kamikaze Attack" which allows him to create one or more ghosts that explode on contact with anything. » Hemadeins - Not much is known of this race but it is likely they they have a similar history to the Saiyans. Cui is the only known member of the race & he was one of Frieza's strongest goons. Cui is later killed by Vegeta when they meet on Namek. » Humans - This, surprisingly, is the race to which we all belong. Humans inhabit the Planet Earth, and apart from a few individuals (Tien, Yamcha, Chiaotzu, Roshi, Krillin), most are comparatively weak along side people like the Saiyans and Namekians, because most of the race does not know anything about Ki manipulation. » Immeckians - They live on the Planet Immecka. Their ruler is Lord Don Kee who is a huge coward, so he has his egotistic bodyguard, Ledgick, to handle his more difficult intruders and subjects. Lord Don Kee unfairly forces his impossible to satisfy appetite for taxes and wealth out of his citizens. » Kais - These creatures are gods over a sector of a galaxy. The Kais shown here are the gods over the Milky Way, our galaxy. The most seen Kai is North Kai, or King Kai, who trains Goku, Piccolo, Tenshinhan, Yamcha and Chiaotzu. He also watches over the Z Fighters, often offering advice. » Kaioshins - These creatures are even higher gods than the Kais. These gods watch over sectors of the universe, and one of the them is supreme god of the entire universe. They are immensely powerful, but not immortal, which is proved by Majin Buu, when he slaughters all but 2 of the Kaioshins. » Kanassa-Jins - The Kanassa-Jin are a race possessing psychic abilities, including being able to read minds, and see into the future. Their race is all but wiped out by Bardock's team. However, one survives and gives Bardock the ability to see the future, so he can see his own destruction, just as the Kanassa-Jin were forced to. The last Kanassa-Jin is then killed by Toma. » Kerubo-jins - The Kerubo-jin live on a planet with a lot of seismic activity. Also living on the planet is a big catfish-like creature who can predict earthquakes by using his whiskers, and who the Kerubo-jin think to be a god. Trunks, Pan and Goku unmask this fraud and the Kerubo-jin can go on living their quiet lives. » Lude-Jin - The lude-jin are members of the cult of Ruudo. They worship a giant statue that's in reality a disguised robot made by Dr. Myuu. When Goku, Pan and Trunks threaten to defeat Mochii, the high priest of Ruudo, all lude-jin are turned into dolls and offered to Ruudo. When Ruudo is defeated they all turn back to normal. » M2-jins - Dr. Myuu replaced the original inhabitants of planet M2 by machine mutants. Gill, who's from M2, betrays Goku, trunks and Pan and delivers them to Rilldo (aka "Shogun Rirudo" or "General Lock"). Rilldo works for Dr. Myuu, who wants to use their Saiyan energy to revive the Tsufuru-king Baby. Later, he starts to regret this and helps our heroes, who then defeat Rilldo. » Makyo-Jins - This is the race to which Garlic Jr. belongs. They inhabit the Makyo Star, which gives them great power. The Makyo Star passes close to Earth every 1000 years, and Garlic Jr. uses this opportunity to take over the earth, but he is sent to the Dead Zone by Gohan. » Meat-Jins - Bardock and his team were assigned to swipe this planet of life by Frieza, who intended for it to be a trap for Bardock. Unfortunately, Bardock's team goes without him because he was still regenerating from the battle on Kanassa. When Bardock finally reaches the planet, he finds that the Meat-jin had been successfully destroyed, but he also finds his dead team. Shortly after his discovery, he is attacked by Dodoria and his men, who beat him up and leave him for dead. » Metamories - This race plays a brief, but important role in the series. Like the people of Yardrat they are responsible for teaching Goku a very useful technique. The Metamories are the inventors of the Fusion Dance that Goku teaches to Goten and Trunks. Nothing is known of their appearance because they are never seen in the series, all that is known is that Goku met them in Heaven sometime between the Cell and Majin Buu Sagas & in that time is when he learns the Fusion Dance from them. » Momasu-Jins - The Momasu are giants, like everything on the planet is gigantic. On their search for the Black Star Dragonballs Pan, Trunks and Goku arrive on this planet to find the Dragonball being stuck inside a tooth of one of the inhabitants. Goku plays dentist by shooting out the tooth with a Kamehameha blast, and also recovering a Dragonball this way. » Mutants - The Mutants that appear in the series were usually very powerful and skilled fighters. The most well known mutants are the Ginyu Force. They work for Frieza and we see them fight Krillin, Vegeta, & Gohan until Goku shows up who defeats all of them but Captain Ginyu with ease. Of course there are many more mutants than just the Ginyu Force. in fact, a huge amount of Frieza's force are mutants. It's not always to easy to tell who is a mutant because they may just be part of a race we don't know about, but usually mutants have no one else who relates to them in appearance. » Namekians - This race is first introduced to us when Goku fights Piccolo Daimao, who is a very old Nameksei-Jin. But it isn't until the Saiyan Saga that Piccolo and Kami learn of their otherworldly origins. After Piccolo's death at Nappa's hands. Gohan, Krillin and Bulma depart to the Planet Namek, to gather the original Dragonballs to revive their friends. During this time all the Nameksei-Jin are wiped out by Frieza and his men. They are eventually revived with the Earth's Dragonballs and sent to live on New Namek. All Nameksei-Jin are asexual as Toriyama based them on snails and slugs. » Ogres - Also known as Oni, this race we see mostly as workers in the afterlife. Ogres either have a single horn or two horns on their head, some also only had 1 eye. They are given tasks like watching over Hell, checking the souls to make sure they have been purified, and other things. The Ogres gave their energy to Goku during the Buu Saga for his big Spirit Bomb. During DBZ Movie 12, they are almost all wiped out by Janemba. They run a sort of 'airport' to transport souls around heaven. » Rito-Jins - Very human-like in appearance, this species had all of their families of these orphans killed right in front of their eyes by Frieza. After their families were murdered by Frieza, these orphan's took up traveling the galaxy and capturing vessels. When they captured the Namek ship that Krillin, Bulma, and Gohan were traveling in, they appeared hostile at first but upon learning of our hero's intentions they let them go. These orphan's traveled the Northern Galaxy as "space pirates" in a mirror-like spaceship. » Robots - Robot's are built and programmed to do whatever the creater pleases. We see a lot of Robot's guarding some kind of important objects. In DBZ we see Androids created by Dr. Gero which are a whole different thing. Robot's are usually much weaker and usually have 1 or 2 very simple objectives at hand. » Saibamen - The exact origin of this species is unknown, but they were most likely created in a lab on Planet Vegeta. The Saibamen were created to help the Saiyans train at a higher level. They were also used on occasion as a fighting weapon with built in acid they could shoot out of their head along with a self-destruction option. Since each Saibamen had a power level identical to Raditz at 1,200, the Z warriors had a semi-tough problem fighting them. The most odd thing about the Saibamen was that they were 'grown' from the ground by planting a seed. » Saiyans - This is one of the series' main races. All of the main characters belong to this race. They first arrived on the Planet Plant in 550AD and eventually took over the whole planet, renaming it Vegeta. They then encountered Frieza, who employed them to wipe planets of their life before being sold. Fearing they would one day overthrow him, Frieza destroyed them all along with the planet, leaving only Goku, Vegeta, Nappa, Raditz, Broly, Paragus and Turles as survivors. » Shamo-Jins - This race shows up in Movie #8. They are being uses as slave labor on New Planet Vegeta by Paragus after their home world was destroyed by Broly. However during the fight with Broly the race is evacuated to the Capsule Corp spaceship, but it is not know what happens to them after this. Presumably the Z Warriors help them find a new planet like they did for the Nameksei-Jin. » Shape shifters - A Shape shifter is someone who can change themselves to look however they want. Puar & Oolong went to a Shape shifting school & learned how to use this power but this is more of a morphing ability. There is a special shape shifting race that we see in DBZ, they have the ability to morph into anything for as long as they want. They also have the ability to morph the planet they lived on, their names were Zaacro & Raiti. When they see Bulma, Goku and Krillin land on their planet they transform into fake Namekians and try to trick them into thinking the planet they are on is Namek so they can escape the planet on the Z-Fighter's ship, but of course they fail. » Tuffles - This race shared the Planet Plant (Old Vegeta), with the Saiya-Jin, and although weaker than the Saiya-Jin, they kept them at bay with their advanced technology, such as the Scouters and Blasters. They were also the inventors of the Space pods we see in the series. They were wiped out when a full moon appeared on the planet Plant, allowing the Saiya-Jins to go Oozaru and destroy the Tsfuru-Jin. » Vampires - Vampires in Dragonball are basically the same as Vampires in other stories. But one Vampire we see is able to live in the sun light. He also for some strange reason was a kick boxer. But of course like all reasons he can't stand garlic or a cross. Upa and Puar use this to their advantage when they fight Dracula Man (picture above). Dracula Man is the first of Baba's five fighters & we see him when Goku & friends need Baba's help to find a Dragon Ball. » Yardrat-jins - This race was first met by Goku after the defeat of Frieza on Planet Namek. He arrived in an abandoned Ginyu pod. If it wasn't for Frieza calling The Ginyu Force to Namek, they would have destroyed the Yardrato-Jin, it being their next mission. They are a physically weak race, but possess the ability to manipulate space and time, and teach Goku Instant Transmission.